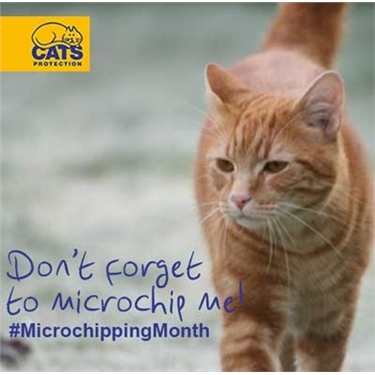 We are urging pet owners to microchip their animals during National Microchipping Month (June) following recent research which found that nearly half of the UK’s owned cats are not microchipped. The survey, which was conducted jointly with the Pet Food Manufacturers Association, discovered that out of the UK’s 7.4m owned cats, only 4.1m are microchipped. It also looked at regional variations and found that Scottish cat owners are the least likely to microchip their cats (only 32 per cent) and the South East the most likely (at 69 per cent). New Government rules stipulate that all dogs in England must be microchipped by 2016 so the argument for getting a pet chipped is stronger than ever.